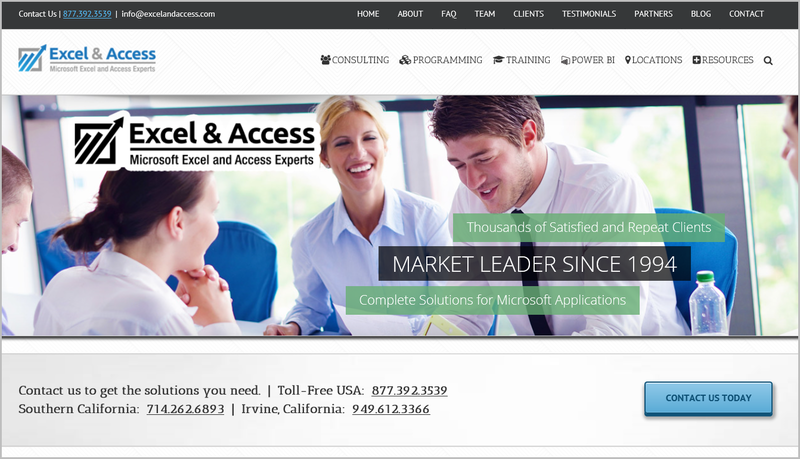 Excel ConsultantBlogBlog CategorySee Our New Company Website!!! See Our New Company Website!!! We are so happy to announce the launch of our new company website, ExcelAndAccess.Com, and we could not be happier with how it came out. We feel that the developer nailed it, taking the time to fully understand our company, our needs and our clients. But that is our opinion, and we really would like to hear yours. Please post a comment on this post and tell us what you think of our new site. This post quickly goes over a few aspects of the new site, letting you know what pages should get your attention, links included. Below is an image of the top section of our home page. The two menus should make navigation around the site simple to understand. And our contact info and our contact buttons are properly placed around the site, right where you would expect them. That said, if you have questions about our company, our services, etc., please reach out and we will discuss them – Contact Us. Below is an image of our specialized services section on the home page. Very cool mouse overs. Clearly shows our three primary services, Microsoft consulting, Microsoft programming and Microsoft training. Click on one of the three links to take you to either our Microsoft consulting, programming or training services pages to learn more. Below is an animated image of from our Microsoft Programming services page. We offering our premier programming services in all of the Microsoft Office applications (Windows and Mac), Power BI, SQL Server, Azure, and .Net. Below is an image taken from our Microsoft Consulting Services page. If you are looking to hire a seasoned Microsoft Office consultant this page will give you the info that you need to make that decision. 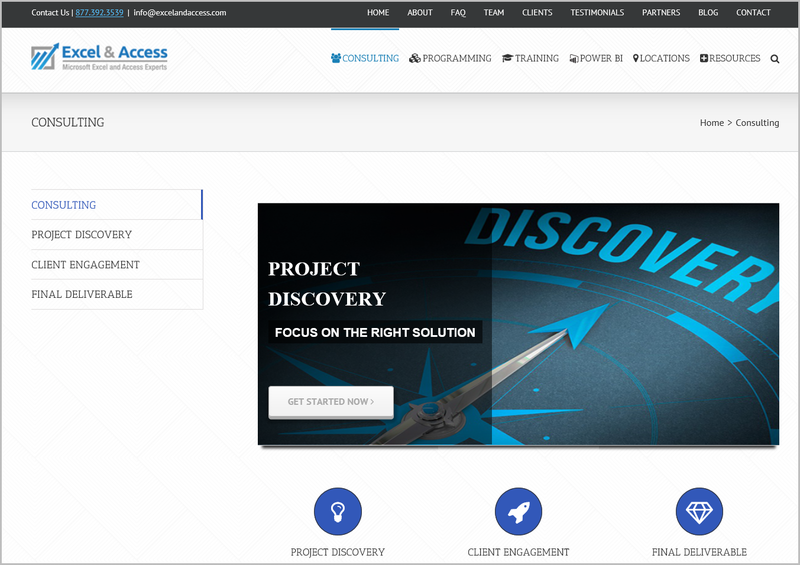 We take you from project discovery, to the client engagement and the final deliverable, we help you to make heads and tails of the this space. A space with too many one man companies with in adequate skills or bandwidth to get the work done. For your protection, always go with a firm that has been in this space for over 20 years, being a Microsoft Certified Partner every year. The image below is from our Microsoft Power BI page on the new site. If you have not heard of Power BI, or even if you have, take a look at these pages to increase your understanding of the future in Microsoft computing. 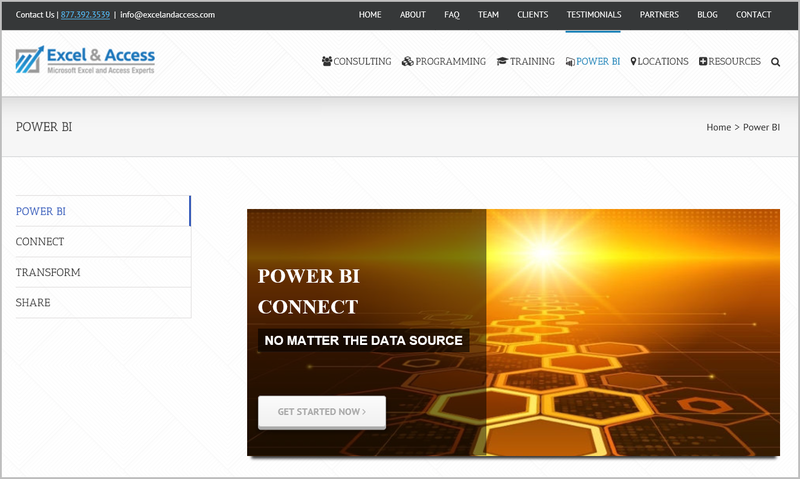 If you have questions, our Director of Power BI can answer them for you, and if you are interested, he can offer a free consultation to discuss your Power BI needs. 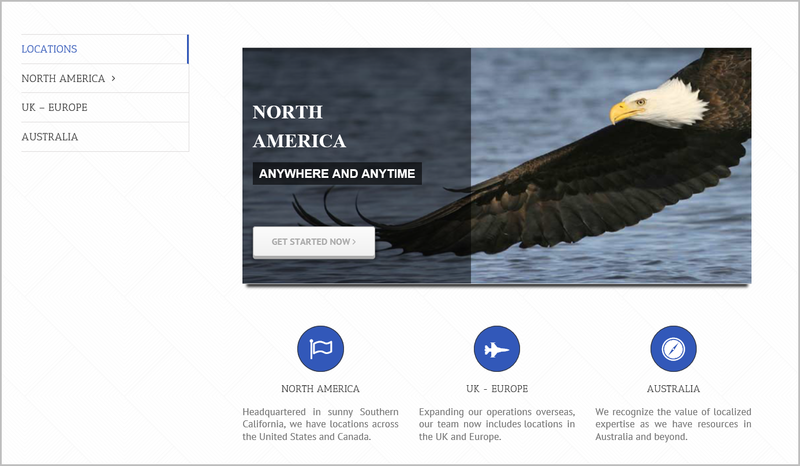 Below is an image taken from our Locations page page. Unlike the 90% of our competitors who are a one man shop, working out of their home, we are an internationally based corporation with over 15 programmers and trainers available to assist you. Our company headquarters have been located in Irvine California since 1994. Just as long as we have been a Microsoft Certified Partner. No matter your location, from New York, California, Canada to the UK, we have you covered, working 7 days a week, in the evenings and weekends, because we work when you work. 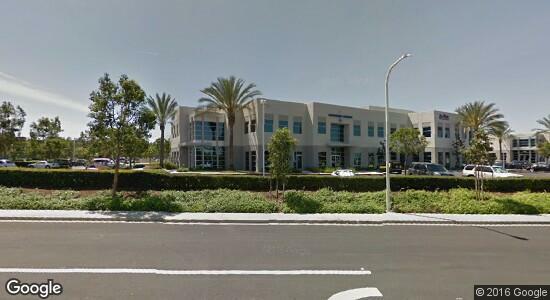 Below is an image of our company headquarters in the heart of Orange County California, in the city of Irvine. Please stop on by and say hello. Tell us your needs. See our Irvine Workshop and Training Center. A little About Us: We are driven to work hard, retain top talent, and put clients first. This simple strategy has consistently guided our success as we continue to rapidly expand our services worldwide. We Deliver on Projects: Excel and Access experts surpasses the competitors by delivering on projects exceeding client expectations and by providing a guarantee on all of our work. Our Promise: We commit to our clients that our services are unmatched, and our project solutions are robust. Our team will work with your team to build a long term business relationship. Our Philosophy: Our team has a passion to provide the collective services as certified experts in consulting, programming and training. We provide experts who are specialists rather than overall generalists. If doing the work that you need too have done is either beyond your skills set or if you just lack the time to work on this, allow us to assist you with your Microsoft Excel, Access, Office, Power BI, and SQL Server programming needs. And if you find your organization in the need of training, we do so in several formats. Posted on June 5, 2016 Posted in Blog Category and tagged Microsoft Excel VBA, Send Excel via Outlook.